The timeline below is the beginning of an effort to capture both the major milestones and small moments that have shaped the Web since 1989. It is a living document that we will update with your contributions. To suggest an item to add to the timeline, please message us. 42% of American adults have used a computer. 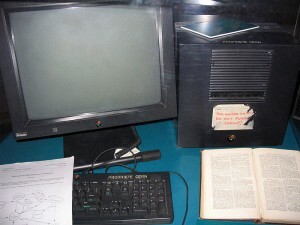 Tim Berners-Lee develops the first Web browser WorldWideWeb. Archie, the first tool to search the internet is developed by McGill University student Alan Emtage. Researchers rig up a live shot of a coffee pot so they could tell from their computer screens when a fresh pot had been brewed. Later connected to the World Wide Web, it becomes the first webcam. The term “surfing the internet” is coined and popularized. 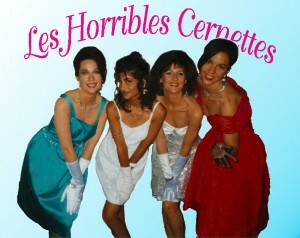 Tim Berners-Lee posts the first photo, of the band “Les Horribles Cernettes,” on the Web. The line-mode browser launches. It is the first readily accessible browser for the World Wide Web. CERN places its World Wide Web technology in the public domain, donating it to the world. The National Center for Supercomputing Applications (NCSA) releases Mosaic 1.0, the first web browser to become popular with the general public. “The web as we know it begins to flourish,” Wired later writes. Marc Andreessen proposes the IMG HTML tag to allow the display of images on the Web. 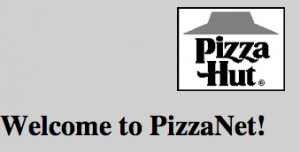 One of the first known Web purchases takes place: a pepperoni pizza with mushrooms and extra cheese from Pizza Hut. President Bill Clinton’s White House comes online. 18 million American homes are now online, but only 3% of online users have ever signed on to the World Wide Web. Craig Newmark starts craigslist, originally an email list of San Francisco events. Match.com, the first online dating site, launches. Entrepreneur Pierre Omidyar launches eBay, originally named “AuctionWeb.” He lists the first item for sale: a broken laser pointer. A collector purchases it for $14.83. Chris Lamprecht becomes the first person to be banned from the internet by judicial decree. “I told the judge computers were my life,” Lamprecht later recalled. Netscape IPO starts the gold rush mentality for Web startups. Microsoft releases Windows 95 and the first version of Internet Explorer. 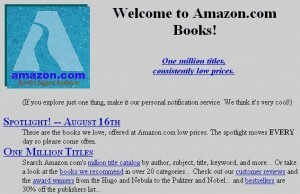 Web hosting service GeoCities launches. 77% of online users send or receive e-mail at least once every few weeks, up from 65% in 1995. 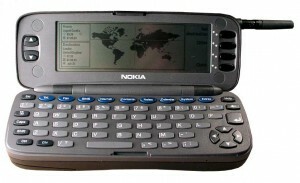 Nokia releases the Nokia 9000 Communicator, the first cellphone with internet capabilities. HoTMaiL launches as one of the world’s first Webmail services, its name a reference to the HTML internet language used to build webpages. The Dancing Baby, a 3D animation, becomes one of the first viral videos. Millions “visit Mars – on the internet” – the Jet Propulsion Lab allows people to watch the Sojourner rover landing and exploration of Mars. The broadcast generates about 40 million to 45 million hits each day. Netflix launches as a company that sends DVDs to homes via mail. Go Daddy launches as Jomax Technologies. Google.com registers as a domain. Jorn Barger becomes the first person to use the term “Weblog” to describe the list of links on his website. 20% of Americans get news from the internet at least once a week, up from 4% in 1995. 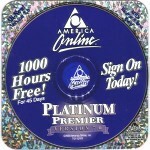 AOL launches AOL 4.0 and inundates American homes with CD-ROM mailers. AOL membership jumps from 8 million to 16 million members. The Internet Corporations for Assigned Names and Numbers (ICANN) takes over responsibility for the coordination of the global internet’s systems of unique identifiers. Pew Research Center tests online polling with mixed results. 41% of adults are using the internet and the weather is the most popular online news attraction. MP3 downloading service Napster launches, overloading high-speed networks in college dormitories. Many colleges ban the service and it is later shut down for enabling the illegal sharing of music files. Yahoo! acquires GeoCities for $3.6 billion. 43% of internet users say they would miss going online “a lot,” up from 32% in 1995. 78% of internet users who download music don’t think it’s stealing to save music files to their computer hard drives. 40 million Americans – or 48% of internet users – have purchased a product online. 32% of internet users (over 30 million people) sent e-greeting cards to loved ones and friends. 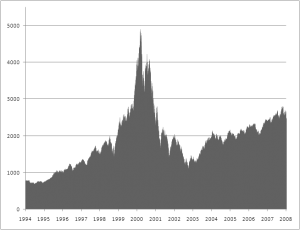 The NASDAQ spiked in the late 90s and then fell sharply. The NASDAQ hits a record high of 5,048, before plunging by 78% during the dot com bust. A 2001 survey finds 71% of Americans who had heard about the dot com troubles believe a major cause of the dot-com woes is that investors were eager to make a lot of money and took at lot of risks. Only 3% of internet users say they got most of their information about the 9/11 attacks and the aftermath from the internet. The average internet user spends 83 minutes online. Jimmy Wales launches Wikipedia. Users write over 20,000 encyclopedia entries in the first year. 55 million people now go online from work and 44% of those who have internet access at work say their use of the internet helps them do their jobs. Social networking site Friendster.com launches, but is quickly overtaken by Facebook. Apple launches the iTunes Music Store with 200,000 songs at 99¢ each. The store sells one million songs in its first week. Professional networking site LinkedIn launches. MySpace.com is founded and quickly adopted by musicians seeking to share music and build their fan bases. President George W. Bush signs the CAN-SPAM Act into law, establishing the first national standards for the sending of commercial email. WordPress blog publishing system created. 11% of American internet users follow the returns on election night online. One-in-ten internet users sign up for political email newsletters and news alerts during the campaign. 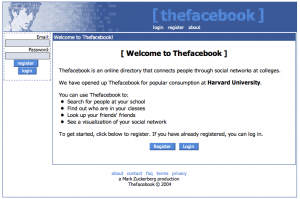 Harvard student Mark Zuckerberg launches thefacebook.com. 1,200 Harvard students sign up within the first 24 hours. Facebook goes on to become the world’s biggest social networking site, with over a billion users worldwide. Google starts trading on the NASDAQ at $85 a share. Social news website Digg launches. Digg users vote to “digg up” links that they like and “bury” down those they don’t. Massively multiplayer online role-playing game(MMORPG) World of Warcraft launches. 8% of adult American internet users say they participate in sports fantasy leagues online. 9% of internet users (13 million Americans) went online to donate money to the victims of Gulf Coast hurricanes Katrina and Rita. About one-in-six online adults – 25 million people – have sold something online. Broadband connections surpass dial-up connections. Community news site Reddit is founded. It is bought by Conde Nast a year later for $20 million. Rupert Murdoch’s News Corp. buys MySpace for $580 million and sells it in 2011 for $35 million. YouTube is founded on Valentine’s Day. The first video, an explanation of what’s cool about elephants, is uploaded by co-founder Jawed Karim on April 23. Google acquires the company a year later. The late Senator Ted Stevens describes the internet as “a series of tubes,” during a 2006 speech on net neutrality. His quote is mocked by Boing Boing and the Daily Show and inspires YouTube remixes. 36% of American online adults consult Wikipedia. 32% of Americans have at least heard about Hillary and Bill Clinton’s video parody of the final episode of “The Sopranos” and 19% have actually seen it. 36% of Americans say they would have a hard time giving up their Blackberry or other wireless email device, up from 6% in 2002. Apple releases its first iPhone, priced at $499 for 4GB and $599 for 8G. Estonia becomes the world’s first country to use internet voting in a parliamentary election. Three-quarters (74%) of internet users – or 55% of the entire U.S. adult population — say they went online during the presidential election to take part in or get news and information about the campaign. 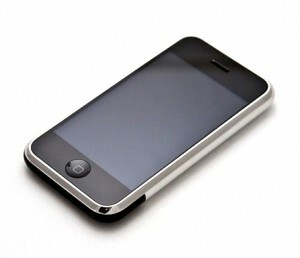 19% of cellphone owners say they have gone online with their phones. Google releases the Chrome Web browser. Apple launches its App Store with 552 applications. Microsoft offers to buy Yahoo! for $44.6 billion, but the two companies cannot agree on a purchase price. World of Warcraft hits 11.5 million subscribers worldwide. Guinness Book of World Records names it the most popular MMORPG. 69% of Americans turn to the internet to cope with and understand the recession. Microsoft’s Bing search engine launches. Twitter raises $98 million from investors, valuing the company at a whopping $1 billion. The Web is transfixed by the tale of a six-year-old boy flying over Colorado in a weather balloon. The story later proves to be a hoax. Kanye West’s VMA outburst sparks an internet meme. Viral videos like David After Dentist, Susan Boyle, Baby Dancing to Beyonce, and the JK Wedding Entrance Dance launch ordinary people into newfound Web stardom. 35% of adults have cell phones with apps, but only two-thirds actually use them. Social photo-sharing sites Pinterest and Instagram launch. Wikileaks collaborates with major media organizations to release U.S. diplomatic cables. Ex-Facebook employees launch user-based question and answer site Quora. 15% of social media-using teens say they have been the target of online meanness. 68% of all Americans say the internet has had a major impact on the ability of groups to communicate with members. LinkedIn reaches 100 million users and debuts on NYSE. Microsoft buys Skype for $8.5 billion. Young Egyptians use the hashtags #Egypt and #Jan25 on Twitter to spread the word about the Egyptian Revolution. The government responds by shutting down the internet. Rebecca Black’s “Friday” becomes a YouTube sensation. 66% of internet users use Facebook and 12% use Instagram. Among the 13% of US adults who made a financial contribution to a presidential candidate, 50% donated online or via email. Facebook reaches 1 billion monthly active users, making it the dominant social network worldwide. Some analysts start calling it “Facebookistan.” The company buys Instagram for $1 billion and debuts on NASDAQ at $38 a share. South Korean music star PSY’s “Gangnam Style” video surpasses Justin Bieber’s “Baby” as the most viewed video ever, with over 800 million views. Ecommerce sales top $1 trillion worldwide. A majority (56%) of Americans now own a smartphone of some kind. 51% of U.S. adults bank online. 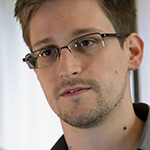 Former CIA employee and NSA contractor Edward Snowden turns over thousands of classified documents to media organizations, exposing a top-secret government data surveillance program. Apple says app store downloads top 40 billion, with 20 billion in 2012 alone. Twitter files for its long-awaited IPO. Shares soar 73% above their IPO price of $26 a share on the first day of trading. 45% of internet users ages 18-29 in serious relationships say the internet has had an impact on their relationship. Facebook buys messaging app Whatsapp for $19 billion.